Florida passed a Constitutional amendment allowing medical marijuana on November 8, 2016. Known as Amendment 2 (the Amendment), it authorizes the use of marijuana for debilitating medical conditions. The Amendment was an overwhelming success. It garnered over 71% of the vote, more than 10 percentage points above the required 60% supermajority for a Constitutional amendment. Yet nearly a year later, Florida’s MMJ program is nowhere near full implementation. The Office of Medical Marijuana Use (OMMU), which is charged with the duty of rolling out Florida’s MMJ program, is embroiled in litigation and has requested a significant increase in funding for legal costs in 2018. The OMMU missed a statutorily mandated deadline to issue MMJ licenses. State ID cards, a requirement for MMJ patients, are significantly backlogged. What’s going on with Florida? There is no simple answer, though at a minimum it appears that the OMMU is woefully ill-equipped to handle the rollout, particularly in the face of legal challenges which should have been anticipated. On January 18, 2017, the Florida Department of Health released a list of proposed rules for regulating medical marijuana. Considered to be too restrictive, the Florida Legislature stepped in and enacted Senate Bill 8A (SB 8A), the Medical Use of Marijuana Act, in a special session on June 9, which Governor Scott signed into law on June 23. Among other things, SB 8A bans smoking marijuana. That provision is being challenged in court by the People United for Medical Marijuana, who claim that SB 8A runs afoul of the Amendment. No decision has been entered in that case. Another lawsuit filed in September challenges as unconstitutional SB 8A’s requirement that one of ten initial licenses go to a black farmer who is both (1) a grower who was part of settled lawsuits regarding discrimination against black farmers by the federal government, and (2) a member of the Black Farmers and Agriculturalists Association-Florida Chapter. 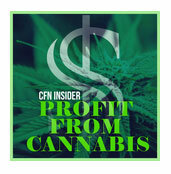 The plaintiff is seeking an injunction on the issuance of licenses. Christian Bax, the controversial executive director of the OMMU, blames this lawsuit for OMMU’s failure to issue ten licenses by the statutorily mandated deadline of October 3. According to Bax, the OMMU cannot issue licenses while the lawsuit is pending. Meanwhile, only 20,000 of over 46,000 registered patients have received the State-mandated ID cards necessary to purchase MMJ. This backlog will likely continue. The registry grows by an estimated 300 patients per day, and the contract awarding processing and manufacturing of the cards has been challenged. Automated Health Systems filed a challenge after Florida’s Office of Medical Marijuana Use notified finalists that it intended to award the contract to Veritec Solutions, LLC. Certainly, much of this is growing pains. It is exceedingly difficult to create an entire statewide medical program from scratch, and any state creating an MMJ program can expect complications. However, it also seems clear that the agencies charged with implementing the law in Florida have been batted around by uncertainty and unnecessarily cowed by litigation, much of which should have been anticipated. Let’s hope that Florida can get back on track, and quickly. Rod is a cannabis business law attorney who lives and practices law in Asheville. He represents legal cannabis businesses throughout the country and is the author of the Kight On Cannabis law blog , a popular blog that discusses evolving legal issues affecting the cannabis industry. 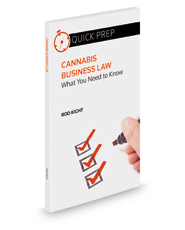 Rod is also the author of “Cannabis Business Law-What You Need to Know”, published by Aspatore Books, a Thomson Reuters (WestLaw) Company, in August 2015. A strong believer in cannabis for personal and medical use after using it successfully during chemotherapy treatments for cancer (he is in remission), Rod is an attorney advocate for NORML. He is also a member of the National Cannabis Bar Association, the National Cannabis Industry Association, Women Grow, and the North Carolina Industrial Hemp Association. 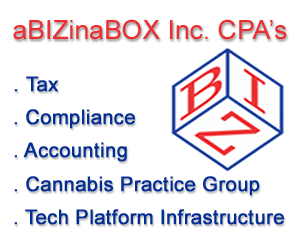 Rod has represented numerous cannabis businesses and been a presenter on cannabis legal issues at seminars across the country. Rod is married to his elementary school sweetheart, Ashley, who is also his office manager. Together they have 5 children. Rod is an avid musician who plays guitar in an Asheville-based rock band. He can be reached via email (rod@kightlaw.com) or phone (828-55-9881). Is Congress About to Fix Marijuana Banking?